Recently, I was asked to speak at a conference on collaboration. Ok, it’s not quite a big surprise me talking about collaboration. Anyway, the Cider Conference asked me to sit on a panel with other beverage industry folks to talk about why and how to work together. For me, this all started in California where I learned so much from other wineries. We would share techniques, borrow equipment and compare suppliers to help each other run a better business. When I came to Virginia in 1997, that sentiment was already here. The industry was very young and we had to work together to get our operations and quality up to speed. The biggest point to understand when collaborating with another business, is that if they do better, it does not mean yours is doing worse. Customers that drink wine will often drink different brands. Some may drink beer as well, or spirits, or cider. We need to get past the handcuffs of simple competition and have a mindset that together we can all be better. The Virginia wine industry has proven that time and again through marketing, legislative efforts and even sharing winemakers. When a craft distillery opened in our county, I was excited to work with them on some projects. If there was ever an oversupply of grapes in Virginia, the distiller is the one who can turn that excess into brandy that can be used for many other purposes. Specifically for my needs was our pear port. I was bringing in brandy to fortify the wine from California. 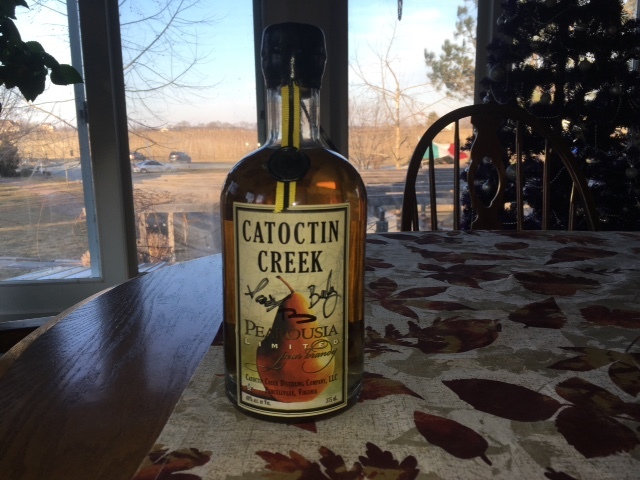 I was very pleased to work with Scott and Becky Harris at Catoctin Creek Distillery to distill some of our pear wine. Some of the brandy was kept as payment for their services while the rest came back to us to blend into our wine creating the port. We both win and we have since even provided them with pear bottles for their brandy, with a pear grown inside. Sometimes the collaborative efforts build relationships beyond the owners. We have had staff leave us to work for other businesses that we work with. As a collaborator, this is an expected and accepted practice. I don’t want my staff to leave, but I want them happy. It may be better for them to leave. That is a key part of business. You teach your staff as best you can and realize that they will leave with that knowledge making the industry better. This is another key part of collaborating. As we have planted hops on our farm, our team has learned to care for these plants. So now we take care of a few local hops yards as well as our own. Everyone gets paid a fair rate for the service they provide. The workers learn about collaboration because they are part of the process themselves. With well-tended and productive farms, we all win! Breweries have become a lot more popular in the area. We sell them barrels, grow their hops, work together selling at different events and encourage customers to visit the breweries as they reciprocate. Black Hops at the Vanish Brewery has the hops processing machine that saves a major amount of time needed to pick and process hops. They encourage others to bring their hops to them for processing as this is a win for all. We all can win by collaborating and we prove it time after time. We are all capitalists but we want good, sustainable business year after year. And the work continues.